The LCTA and LCUSD teams met for the second time this year on October 10, 2008 starting at 9am. After check-in, the topic of wages was the main focus of the day. The District shared the salary data from the previously agreed upon comparable districts. The teams spent time examining the differences and similarities of salary scales and discussed additional options. Also, options discussed previously were further defined. The parties caucused during lunch and reconvened to discuss additional budgetary questions that will require answers from Dr. Steve Hodgson at the October 23rd meeting. The district team will bring additional research and updated budgetary numbers on the 23rd. The Pinnacle MOU was discussed and LCTA reported out on information received from the members and their use of Pinnacle. LCUSD will research the capabilities of Pinnacle to reduce the paperwork requirements of the teacher. 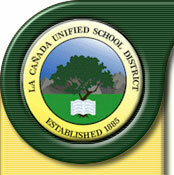 LCUSD reported on the Retirement Incentive Plan and is working to schedule a presentation from PARS. The teams engaged in agenda building and “checked out” and will reconvene at 9am on October 23, 2008. October 2, 2008. New members were welcomed during check-in. New to the table for LCTA are Ingrid Jaimes (PCY), and Penny Upton (CTA). Kevin Buchanan (LCHS) is the new addition to the LCUSD bargaining team. After check-in, Dr. Stephen Hodgson, LCUSD Business Services, presented a budget update to the parties. Next, the parties reviewed the prepared Extra Duty Extra Pay job description revisions and signed a tentative agreement on the revisions. The LCUSD Negotiating Team updated the table on the research-to-date regarding Early Retirement Incentive Programs. Over the summer, the District requested information and data analysis from both Keenan and Associates and PARS. The thoroughness and attention-to-detail presented in the PARS report was noted by the District team at the table. The next agenda topic was “Wages.” The Teams reviewed interests and options related to wages, clarified options, and eliminated some options while adding others. Follow-up research related to 2007-08 wages, settlements, and salary schedules of comparable districts was assigned. Additional negotiating dates were calendared. The agenda for the next session was built and the parties engaged in “check-out.” The negotiation session concluded at 3:00 p.m.